You have to see Ciara's adorable moment with her beautiful family! Ciara has a lot of joy to celebrate this holiday season and she’s sharing it with her followers. The 31-year-old singer took to Instagram on Saturday to share a precious holiday picture of her little family. The sweet photo was taken on a ski lift against the picturesque background of white snowy mountains. 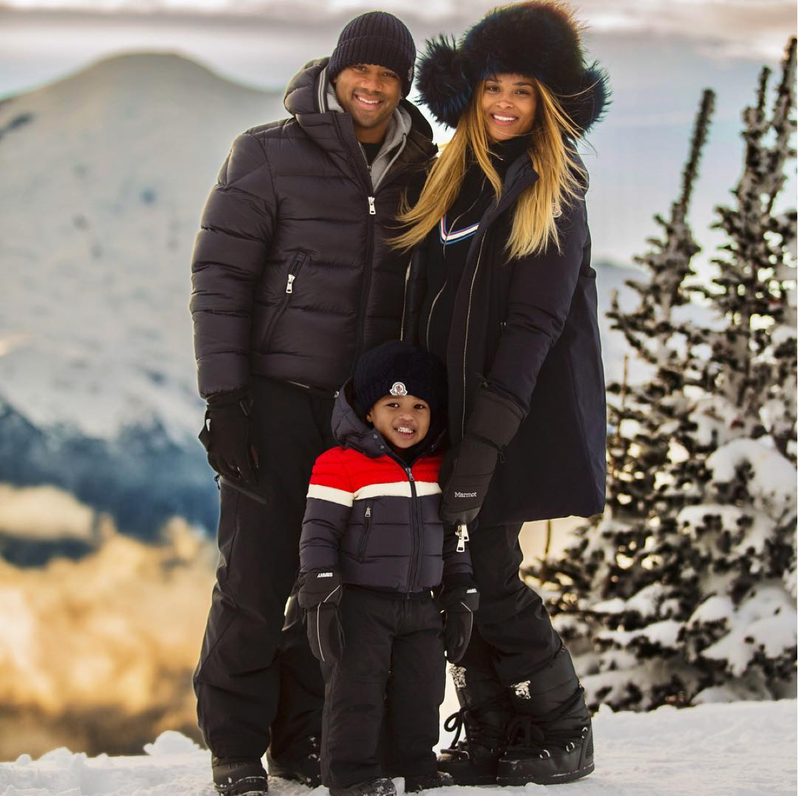 Ciara is flashing a huge smile alongside her husband, pro-football player Russell Wilson, while her adorable 2-year-old son, Future, is seen taking in the views from the ski lift. Ciara wears a black Moncler winter coat and an on-trend fuzzy hat to keep warm. The singer wrote, “#HappyHolidays! Love. Joy. Family.” It has been a joyful year for the singer as she celebrated her marriage to her NFL husband in July and announced in October that they are expecting their first child together. It seems that Ciara cannot contain her much-deserved happiness for her family and we cannot wait to see what her new bundle of joy will bring in the new year.